Design thinking has gained popularity for driving innovation for the world’s leading businesses. Over the past few years, design thinking has gained popularity for driving innovation for the world’s leading businesses. The beauty of this methodology is that it’s empathy-driven and intentionally cross-functional--tenets that are sorely needed in the siloed healthcare industry. 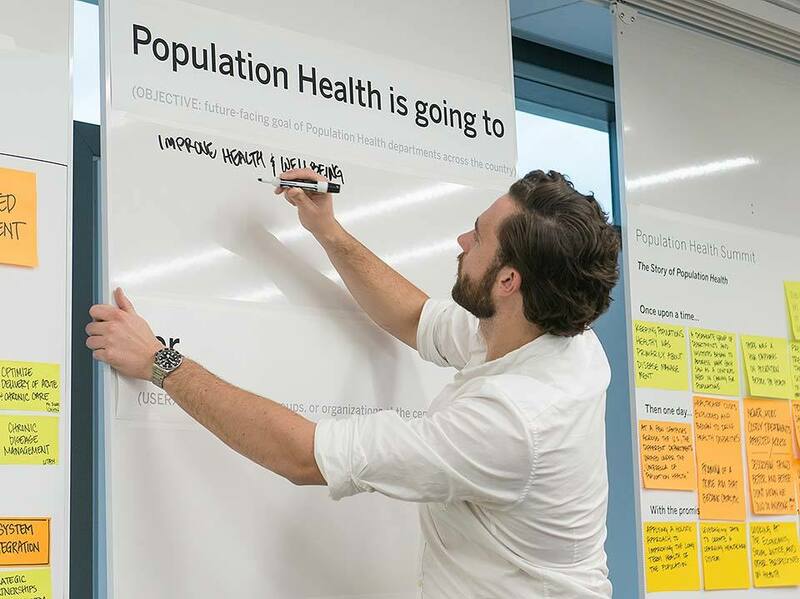 Yet, healthcare is one of the last frontiers to embrace this human-centered approach to defining and solving problems--which is where the Design Institute for Health comes in. The first-of-its-kind institute was founded in 2015 as a unique collaboration between the Dell Medical School and the College of Fine Arts at the University of Texas at Austin. Led by senior execs formerly from IDEO, the Institute aspires to generate fresh systemic approaches and large-scale transformation in healthcare through design. To start off, what exactly is design thinking? The definition that everyone has relied upon is that design thinking is a creative and human-centered approach to problem-solving. While that's true, we actually want to expand that definition; it's not just about problem-solving but problem-identification. We make that distinction because, in the past 25 years, healthcare has gotten into a primarily evidence-based mindset where there’s a strong reliance on quantitative measures to ascertain what problems are and how effective solutions are. This is valuable but misses something important. Quantitative data only helps you if you know what questions to ask. It can easily limit you if you're not careful about how you do it. It will provide a specific answer, but isn't effective in gauging what the needs of a group of people are. So design thinking is a truly human-centered way of putting people first--understanding their lives and challenges--in order to identify needs and put in solutions. It’s also more useful for identifying systems-level challenges, too. What kinds of applications is your team working on in healthcare? We have a bunch of outpatient clinics and in the next few years, we’ll have an outpatient ambulatory surgery center. Rather than becoming a center of excellence in a clinical specialty or subspecialty—e.g. neurology, oncology—I think our goal as a medical school is to become a center of excellence in things like patient experience, systems thinking, and health entrepreneurship. We’re focused on tackling the acute needs of the community; orthopedics is one example. Before the Medical School was developed, patients in the lowest income bracket in central Texas without insurance would wait 14 months to see an orthopedic surgeon. Now, the wait time is about a week. You can imagine what that does for not only someone's quality of life but alleviating downstream expenditures. We no longer are putting someone in a situation where they live and work in chronic pain because they have no choice. We’re working on projects that focus on primary care, mental health, and some interesting intersections between health and other areas. Data shows that 80-90% of your health is dictated by things outside the four walls of a healthcare clinic. So, we’re trying to strengthen and reinforce the connection between people’s day-to-day activities and their overall well-being. This means the creation of new offerings, as well as both design and behavior change work to improve existing offerings. How can facilities leaders implement design thinking in their own departments? The easiest way is through analogs, which are comparisons between other experiences or services. I would encourage facilities leaders to steal from what other businesses are doing really well and tackle these challenges; understanding analogs is a lot easier than approaching something with a whole new process. People are increasingly becoming consumers of their healthcare, and they understand what a good experience looks like. A lot of them know what's possible, so beg, borrow, and steal to give yourself a leg up. People forget that healthcare is a hospitality industry; they get wrapped up in the clinical delivery aspect of it. But it’s helpful to look at what hotels do, not just in terms of the physical space, but the services. Guests don’t just walk through housekeeping and the kitchen to get to their rooms, or wait in the lobby for 30 minutes, which is essentially what we make people do in healthcare. We don’t have waiting rooms in our clinics; patients go straight to their rooms. Likewise, we use a front-of-house/back-of-house environment with two sets of hallways, so that the care room is the first clinical space a patient sees. The clinics utilize a front-of-house/back-of-house design. 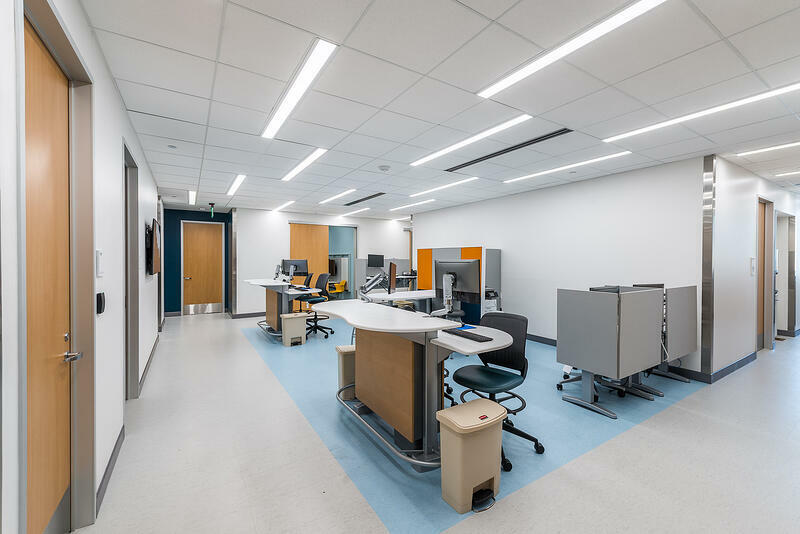 The first clinical space a patient encounters is their room, which allows for more use of materials like carpet in the approach hallways that create a different feeling than the usual hard surfaces common in clinical spaces. Each patient room has two doors, one for patients and one for providers. Fifteen years ago, if I had told you that you would look at a car, phone, and fridge, and directly compare your experience with all of those things, you would have looked at me like I was crazy! But now, all three have screens and you interact with them in pretty similar paradigms although your experiences are different. When the infotainment system in your car doesn’t work as well as your phone, it’s frustrating because you know what good interactive design looks like. In healthcare, people are becoming savvier about the experience they want to have and it's driving them toward these different business models, like concierge medicine. That’s going to be increasingly challenging for the entrenched players...they’re going to have to adapt to changing consumer expectations and behaviors. Prototyping is an integral aspect of design thinking... What does that look like for your team at the Institute? When we prototype, we do it in a very specific way so that we learn from it quickly, cheaply, and early on. It is far more preferable to mess up at this stage of the game. To do so requires a different mindset, but if you can master that mindset, your team is going to make bolder decisions because the cost of failure drastically decreases. 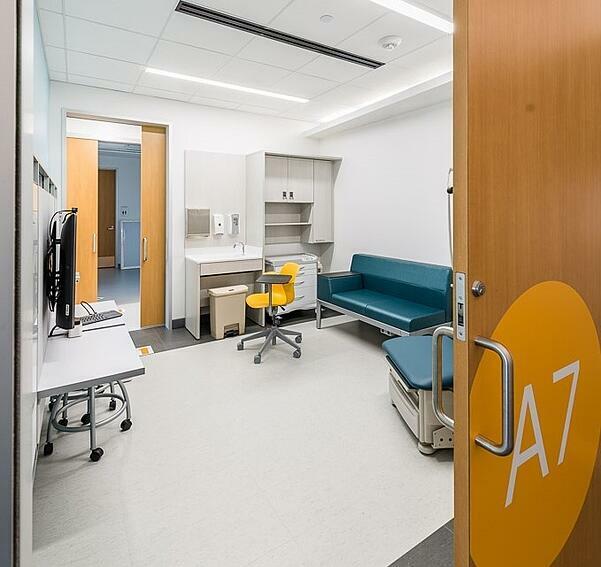 When we’re designing our clinics, everyone will have assumptions about the room, whether they’re architects, facilities planners, interior designers, or nurses. We’ll mock the room up out of foam core, build the walls, put in furniture, bring the physicians in, and run a code scenario. This is a great way to get feedback from our physicians and then communicate with our architects. It allows us to make mistakes and figure out friction points early on, which is a huge time and money saver. 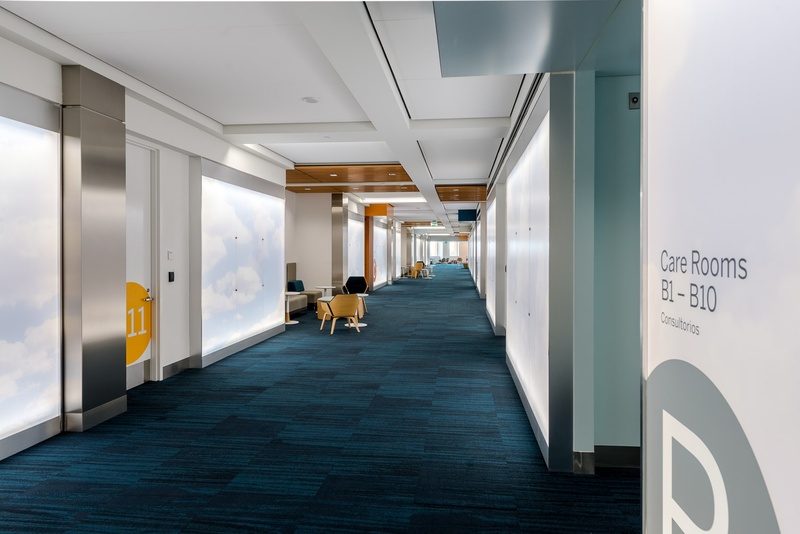 The main concourses on each floor of the Health Transformation Building at the Dell Medical School are expansive, and leverage clever techniques like backlit imagery to make them appear even larger and compensate for the shape of the building, which limits access to natural light. The square footage normally spent on waiting rooms is instead used to create more compelling spaces that enable new interaction models and experiences. We’ve tried to repeat prototyping in terms of our service offerings too. We might say, “Let’s do this in a day for $100.” If that works, we’ll tweak it and spend two days for $200, then gradually start ramping it up. We don’t unveil new services for everyone at the same time; we'll start with one clinic or one room so we can gradually scale it. Prototyping lets you take risks that you ordinarily wouldn't because the cost of failure is too high. When you’re thinking about doing things at scale at the outset, that naturally leads to a lot of regression to the mean and mediocrity. It’s next to impossible to innovate without taking risks; the secret is to reduce the cost of those risks to allow you to make bold moves early on and make divesting from what doesn’t work less painful. What have you learned from the latest clinics you’ve opened? Our newest clinics opened 6 months ago. We’re delivering care in a radically different way, but one of the big things we’re learning is that legacy behavior is pretty hard to overcome. The change management component of doing something innovative absolutely cannot be overlooked. You can’t deliver value-based care into a fee-for-service system and person-centered care in a systemically-oriented system and expect that it's just going to work and everyone will understand. In the absence of really clear operations blueprints, people will default to the behaviors they know; you have to onboard people with your service standards and revisit things to nudge them back to the vision. The UT Health Austin integrated practice units utilize a team-based, collaborative care model, where, for instance, an orthopedic surgeon, physical therapist, nutritionist, social worker, and financial counselor might all see a patient during the course of a single visit. That care model demands working spaces where teams can collaborate and exchange information and ideas, so the care team spaces borrow heavily from the cutting edge of workplace design. What we’re doing is uncharted territory, so we can’t just hand someone a book and say, “Study this!” We’re learning as we go, and change management is something that needs and deserves a lot of time and attention. How does your organization advance innovation and new ideas? We cheat a little bit because all of us came from an industry--design consulting-- where that's just how we operated. We spend a lot of time on change management and what's always been most successful for us is to build the experience for somebody. The faster you can put pen to paper or build a mockup of a space or prototype a service to walk someone through it, the easier of a time you’ll have to get the buy-in you need to stand your idea up. That’s why we try as quickly as possible to turn the corner and make stuff. In academic medicine, there's not always a strong bias toward action. It’s especially hard when your mandate as a medical school is to deliver a lot of care to the people in your community. We build stuff quickly so our providers and decision-makers understand the importance and can get that experience. It’s great when they become advocates for it too so we can deliver care as quickly as possible. How do you see healthcare design evolving in the next decade? That's an interesting question because I don’t feel that design has fully expressed its potential in healthcare. In fact, I don’t even think we’re close to it! Most of the places where design has made some headway in the industry are through architecture and interior design--and that’s great, but those are two very traditional businesses that have a familiar way of doing things. What's going to be increasingly common and get really interesting is the other verticals in which design starts to get involved. Service design is a big one; blueprinting of services, creating service standards, training and onboarding your employees, etc. When you go to the Ritz-Carlton, every interaction is a designed experience. A ton of time has gone into creating blueprints for the guest experience—how your users, your guests, will feel; whom they’ll interact with; the things you’ll say to them—which often gets forgotten in healthcare. That's also going to have a tremendous effect on the design of the spaces because the spaces enable the services that are delivered there. It'll be interesting to see where design begins to create change, and service design is one area it’s going to have an outsized impact. What’s next for the Institute that you’re most excited about? I’m excited about one of the ways in which the Dell Medical School is turning the traditional curriculum on its head. We compress two years of learning into one for our medical students here, which frees up the third year completely. 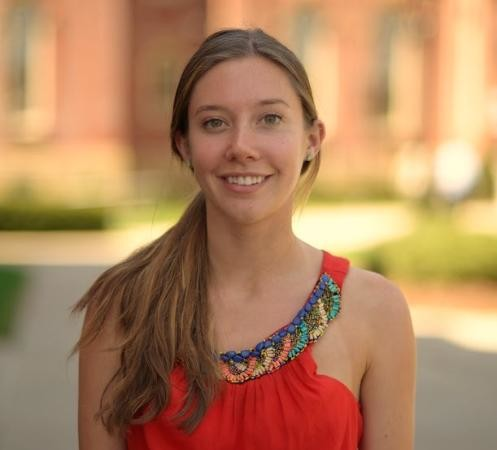 One option they have is to stay with the Design Institute for Health for a year to learn the design process and work on a real-world design project. To me, that is the coolest thing we’re working on. The way we deliver healthcare today is not sustainable, either financially or from a customer experience perspective. The absolute best way to change that is by training a new generation of physicians. The problem is, the existing system isn't ready for them to deliver care the way they want to. By arming them with the methodologies of design thinking, we’re equipping these students with a toolkit to become change agents. They can start provoking the system and driving the kind of change we need to see for a really human-centered, value-based healthcare system. Design thinking isn’t just about problem-solving, but problem-identification. The change management aspect of innovation can’t be underestimated. Prototyping quickly, cheaply, and early allows for bolder thinking, because the cost of failure goes down. Analogs, which are comparisons between other services and experiences, are an easy way to embrace design thinking. We can’t lose sight of the fact that healthcare is a hospitality industry. Service design is going to have an outsized impact on healthcare.